Upgraded to this blade from the one that came with my new Grizzly G0715P table saw. Actually, I never used the blade that came with the saw, because a few reviews said the standard blade was lacking... 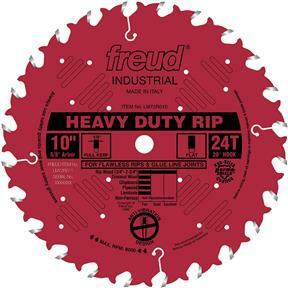 This saw blade cuts red oak like butter, there is absolutely no burning and the cut marks are all but invisible. Worth every dime. No doubt, 5 stars.